I know my last post was a recipe, but these are so addicting and easy to make I had to! Ben actually came up with this recipe too so I’m taking it from him. This is the first version he made and I think this is my favorite flavor combination but it’s fun to experiment also. 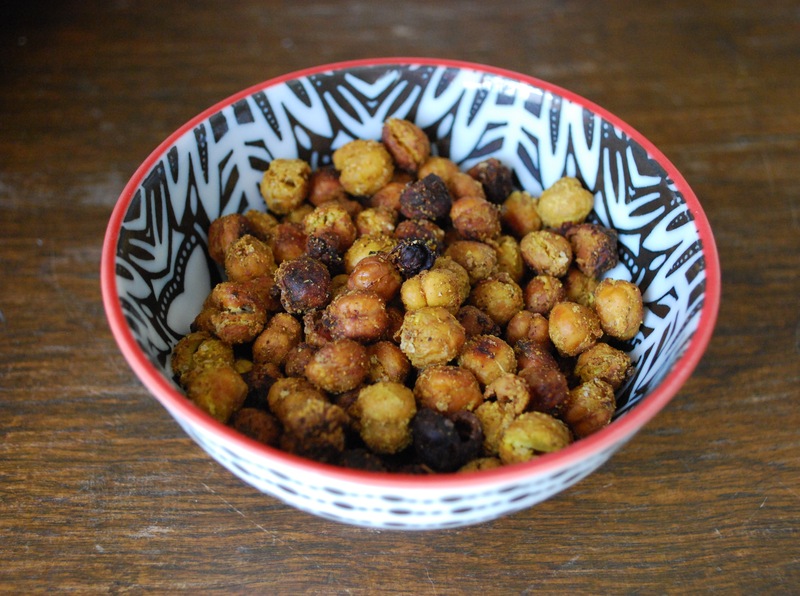 To begin, drain the water out of a can of chickpeas and rinse them off in a colander. Then pat them dry with a paper towel and put them in a mixing bowl. Add about 2 tablespoons of coconut oil, a pinch of salt and pepper, about 1 teaspoon of garlic powder, 1 teaspoon of onion powder, and 2 teaspoons of curry powder. We eyeballed ours, but add enough to evenly coat the chickpeas. Mix everything up evenly and spread them out evenly on a baking sheet. Preheat the oven to 400 degrees Fahrenheit and bake for 40 min. 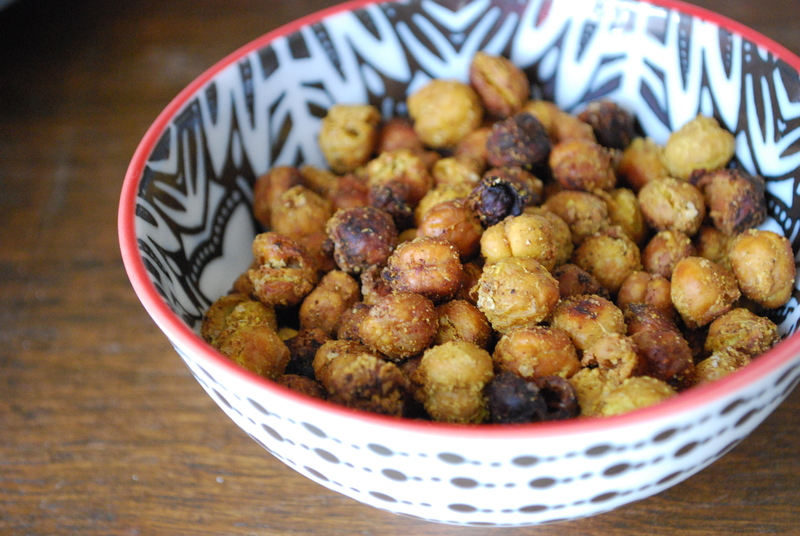 Some of the chickpeas will pop which is fine, I like the crunchy burnt ones but they should all be crunchy when done. Enjoy!